The RAM Clip On Fan has a quality high output with quiet motor and sturdy clips. This 150mm (6"..
A must-have product to ensure even room temperature and as an aid to plant transpiration. The RAM Fl.. This oscillating RAM Pedestal Fan is reliable and quiet. The base of this fan provides a solid, stur.. This RAM kit contains all the necessary components needed to get your ventilation system up and runn.. 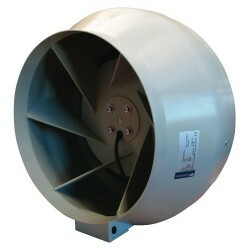 The RVK Sileo is a German made maintenance free and reliable extraction fan that is low wattage..